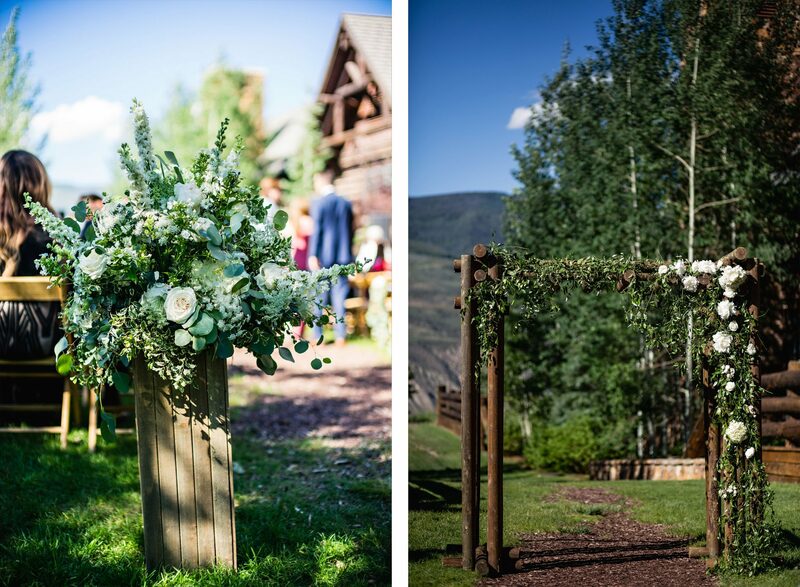 The big city met Rocky Mountain charm in the heart of Beaver Creek, Colorado at this mountain destination wedding. 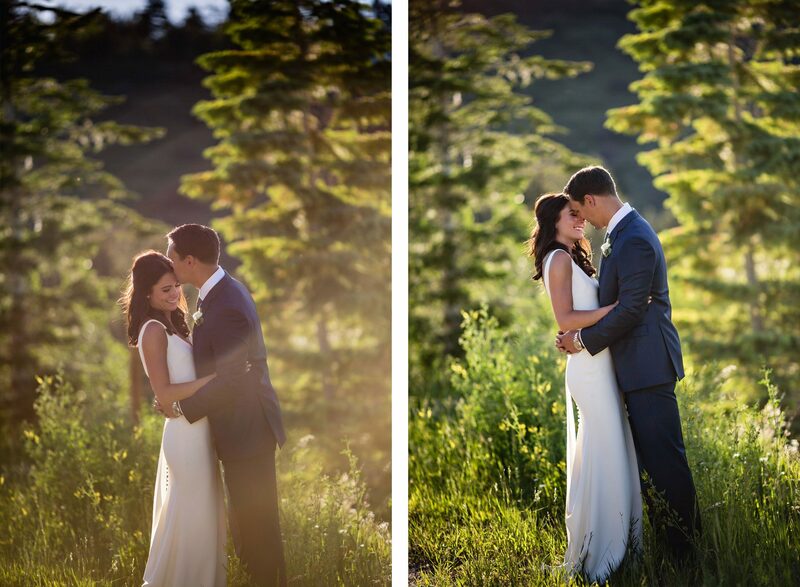 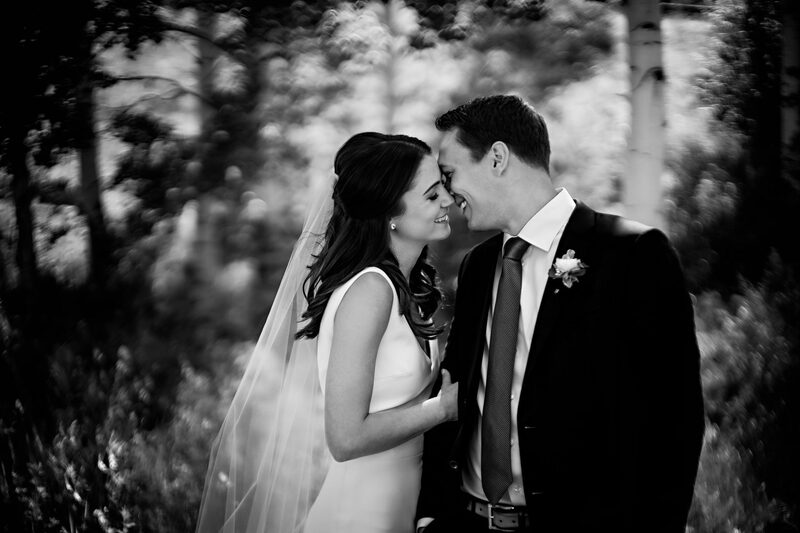 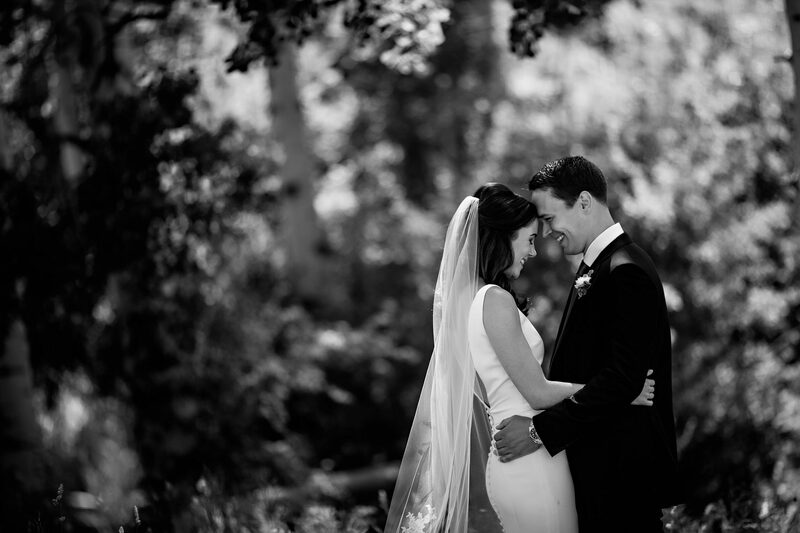 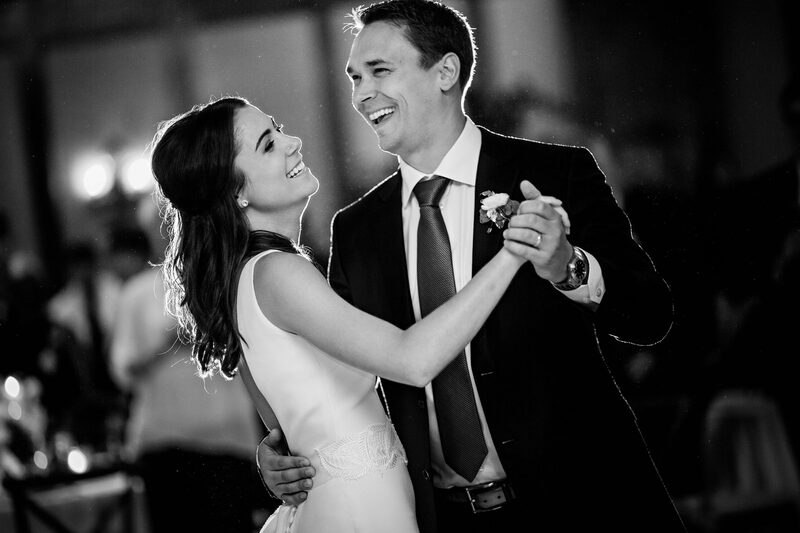 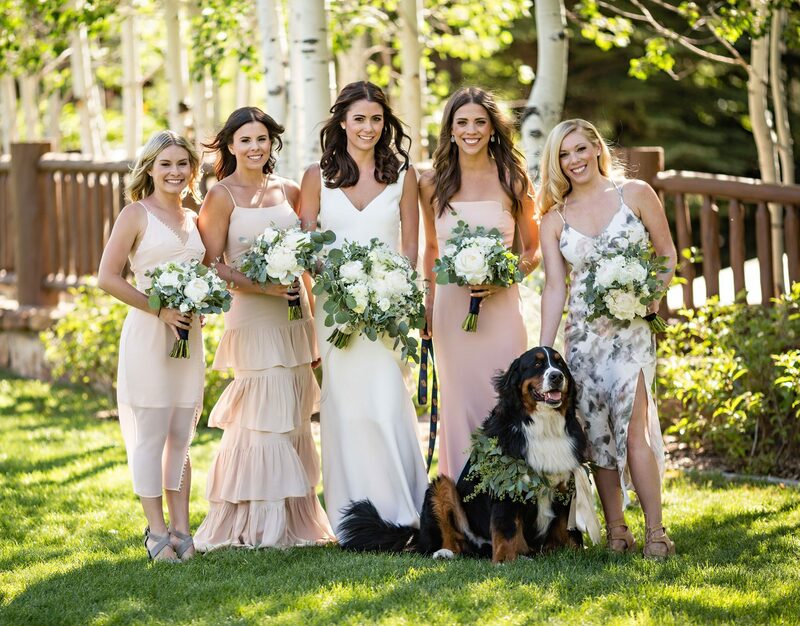 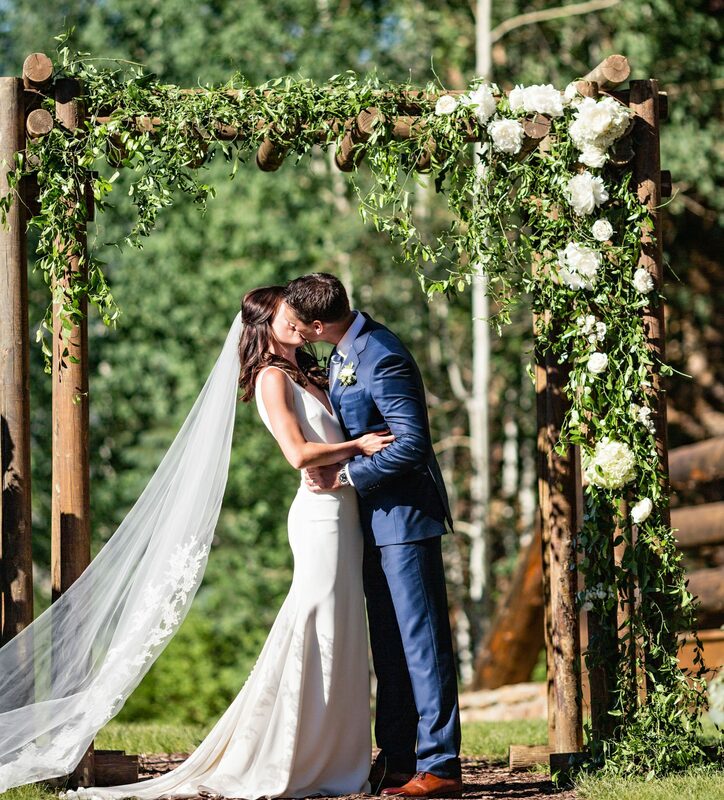 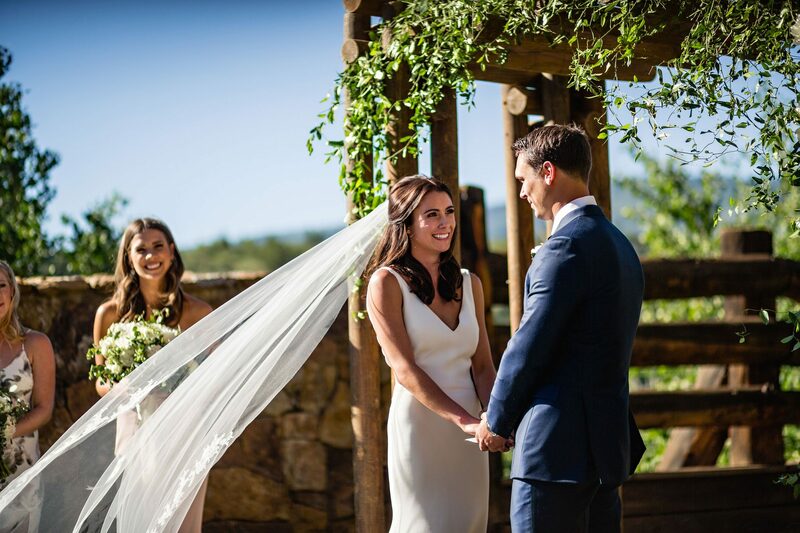 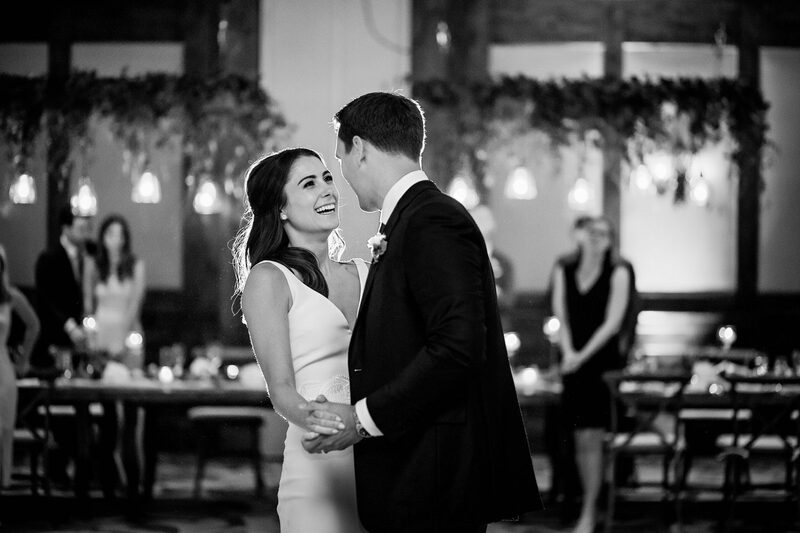 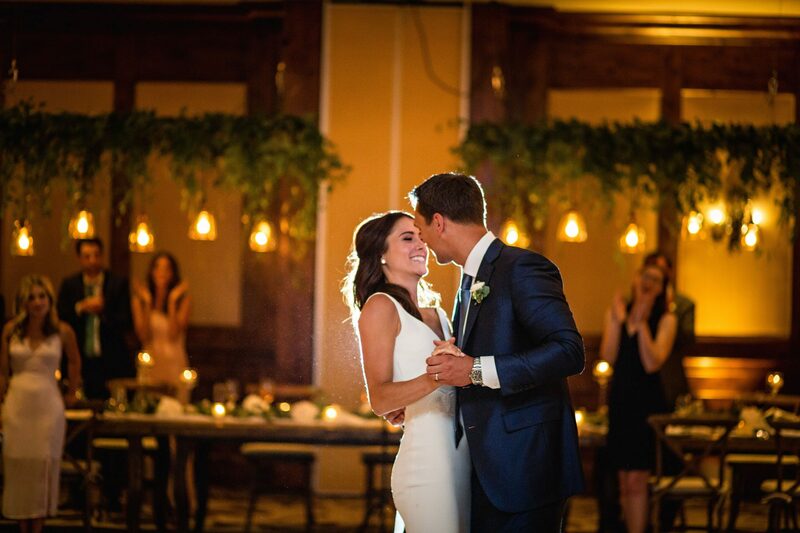 Rachael and Keegan were married on a warm early summer day at the Ritz-Carlton, Bachelor Gulch. 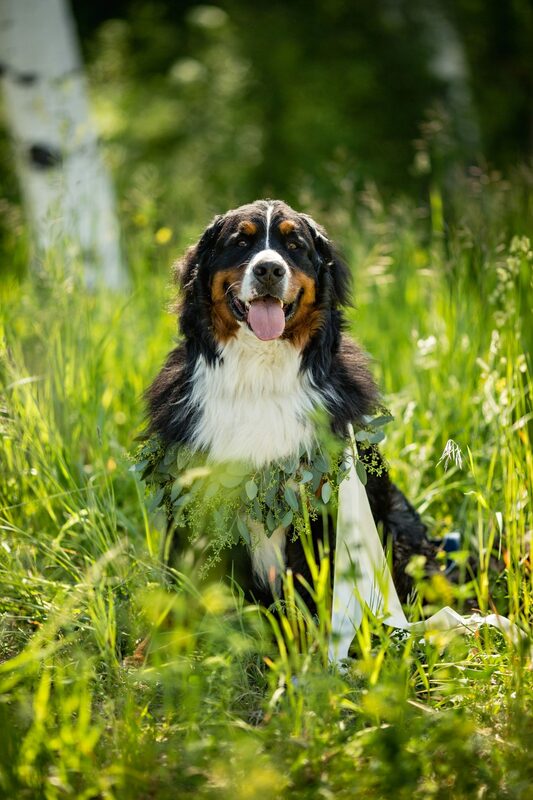 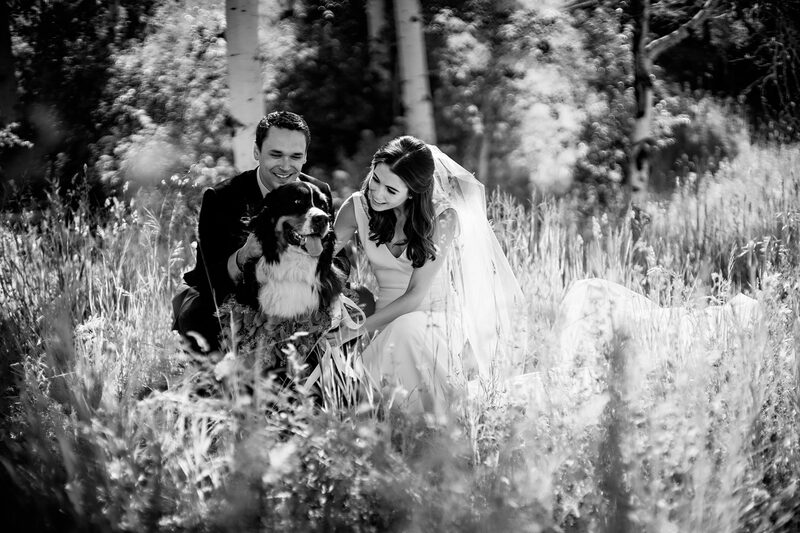 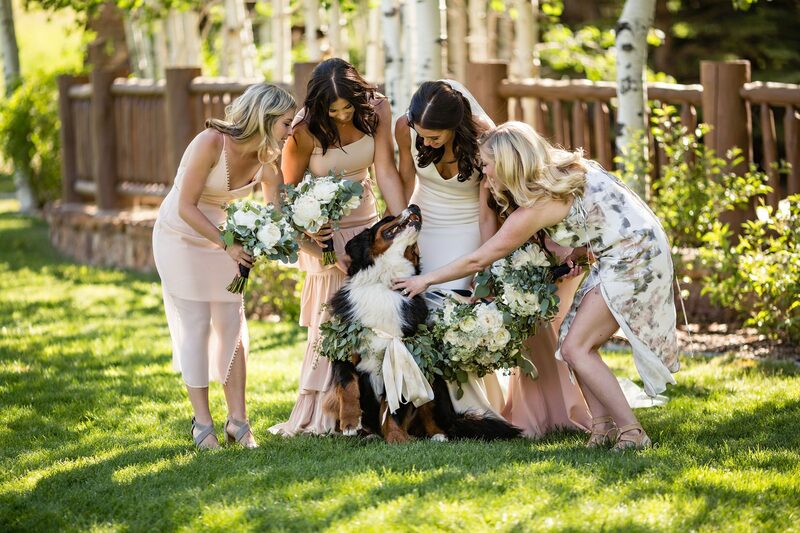 Their friends and family enjoyed fresh mountain air, lots of love, and with the help of their furry friend, R&K said their “I do’s”. 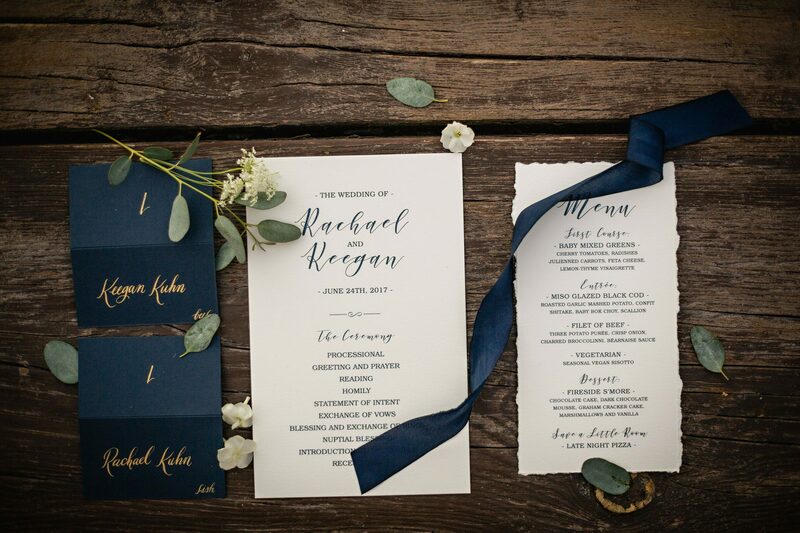 The couple wanted to keep the design of their wedding very simple, yet elegant. 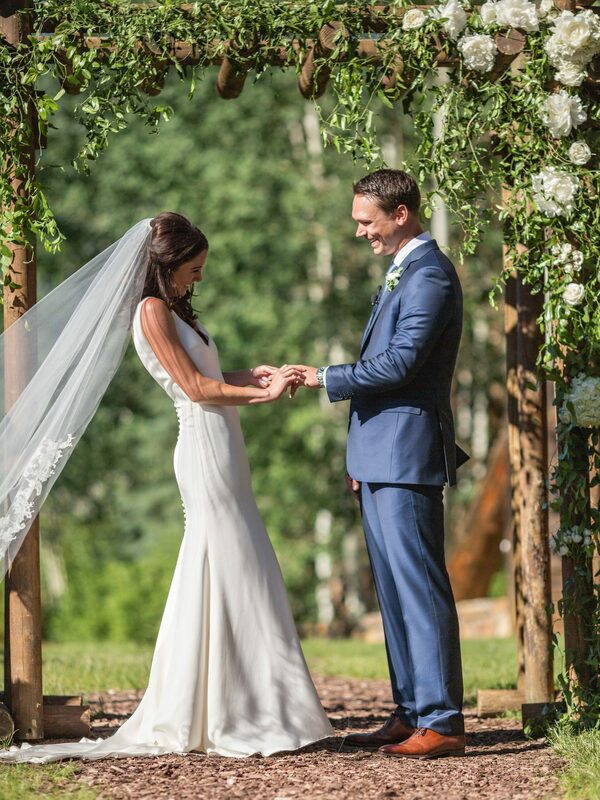 Rachael’s classic dress was a stunning match with Keegan’s striking blue suit. 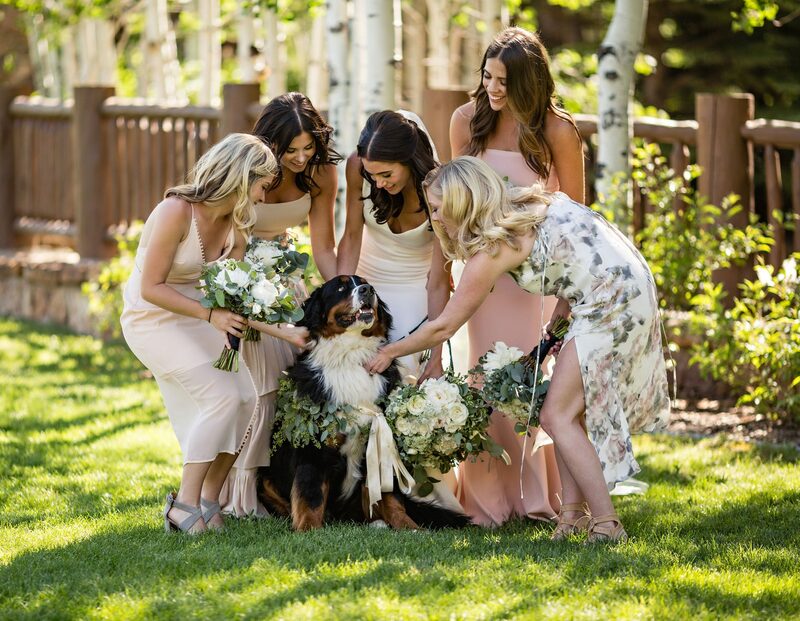 Her bridesmaids all wore different gowns in neutral colors and patterns. 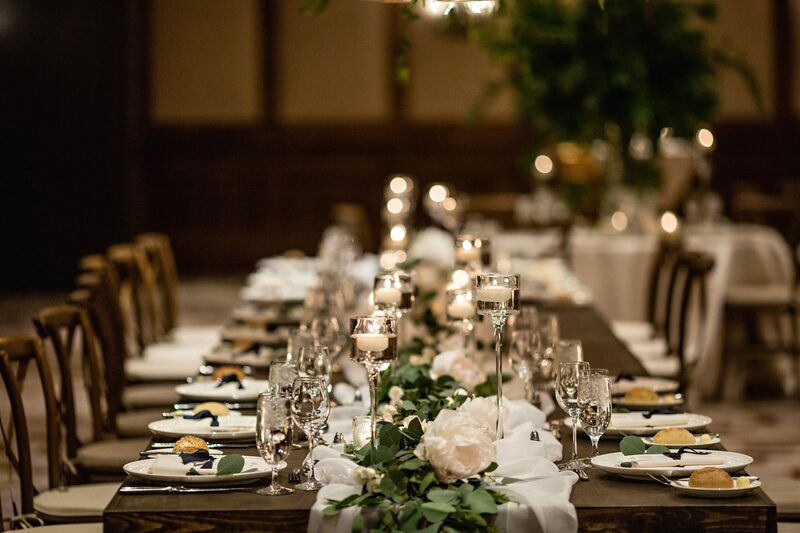 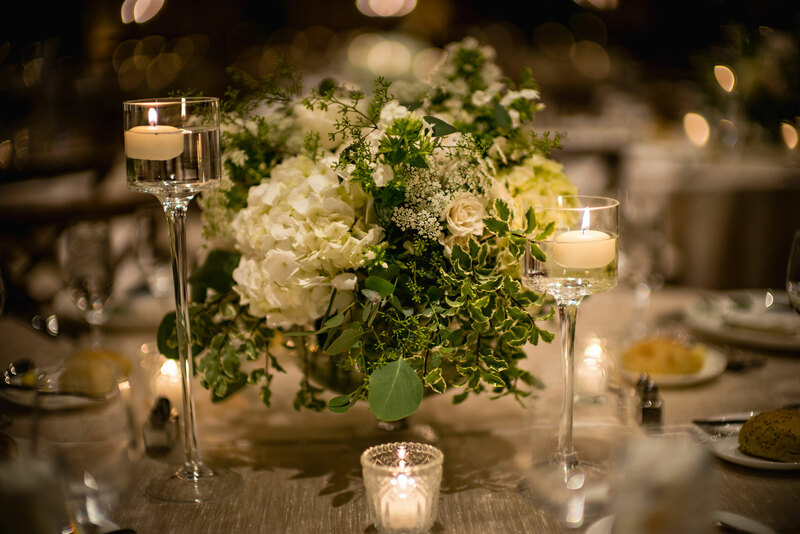 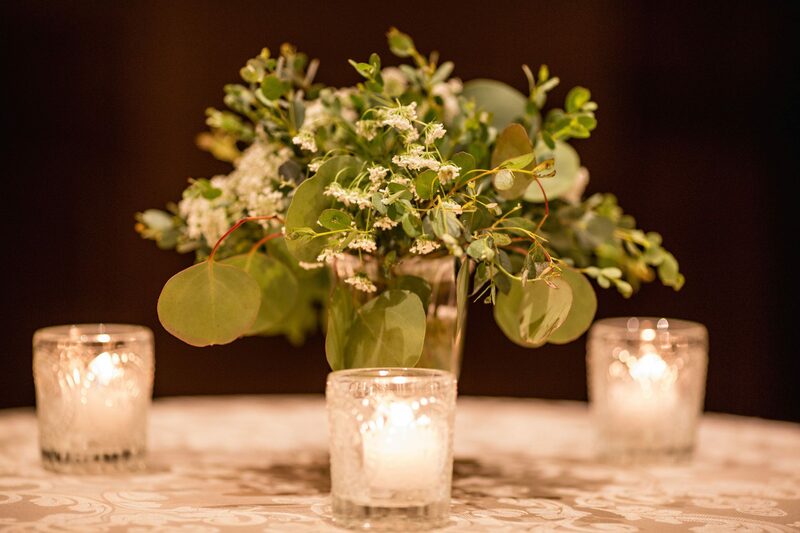 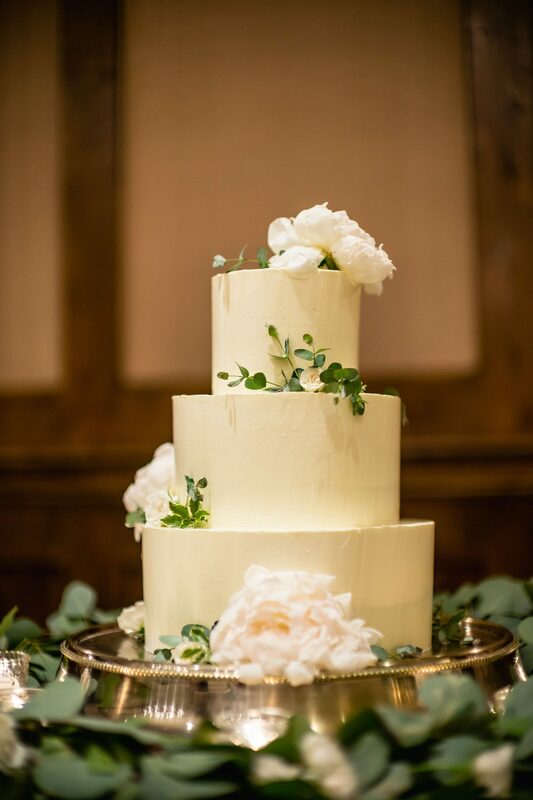 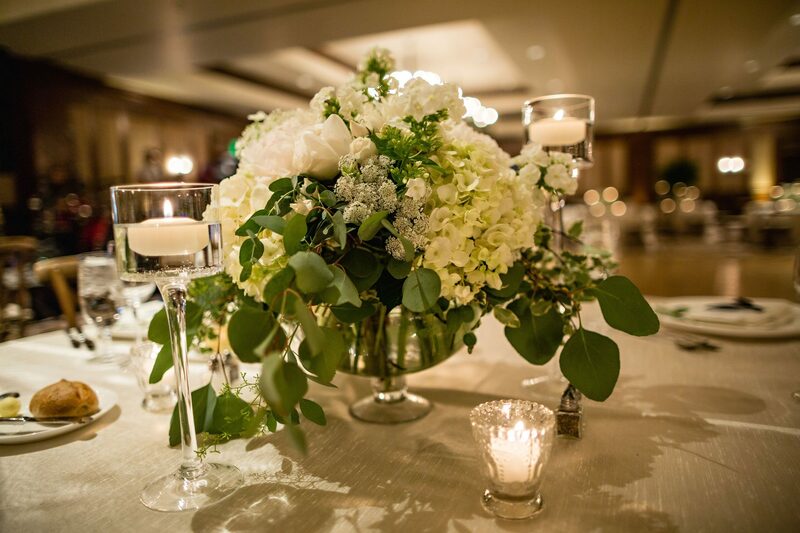 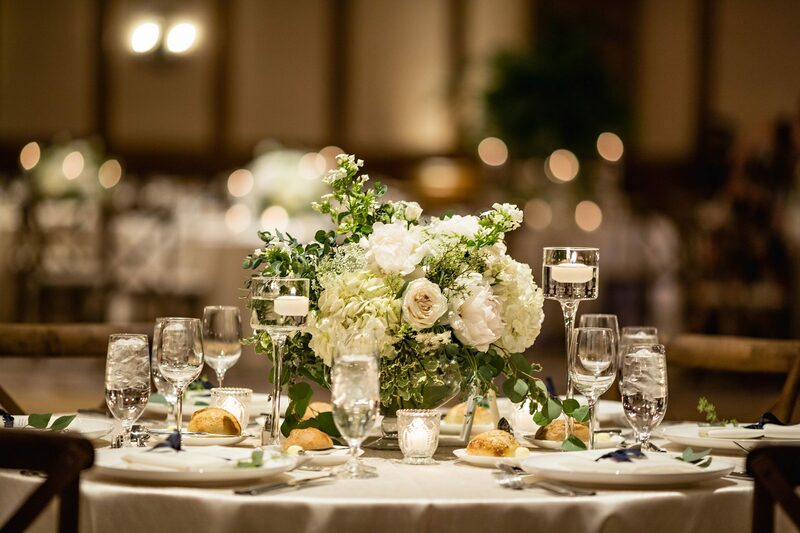 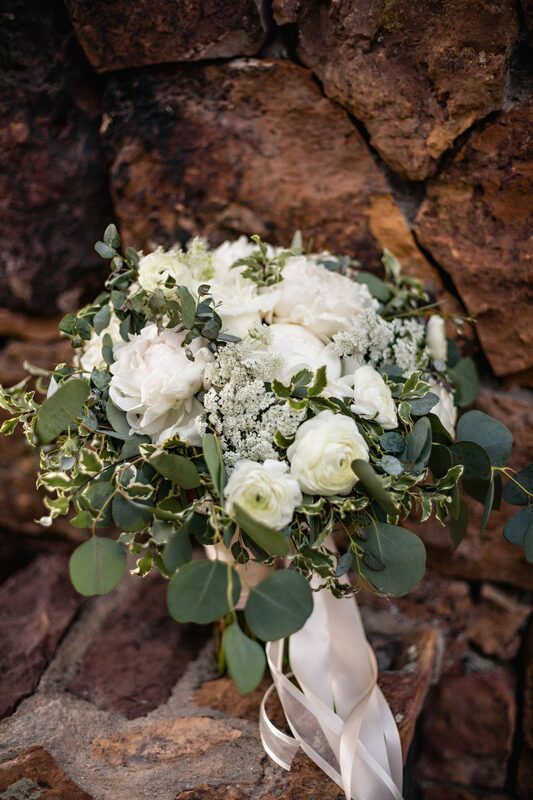 Flowers were simple, yet formal – green and white with explosions of eucalyptus and hydrangea. 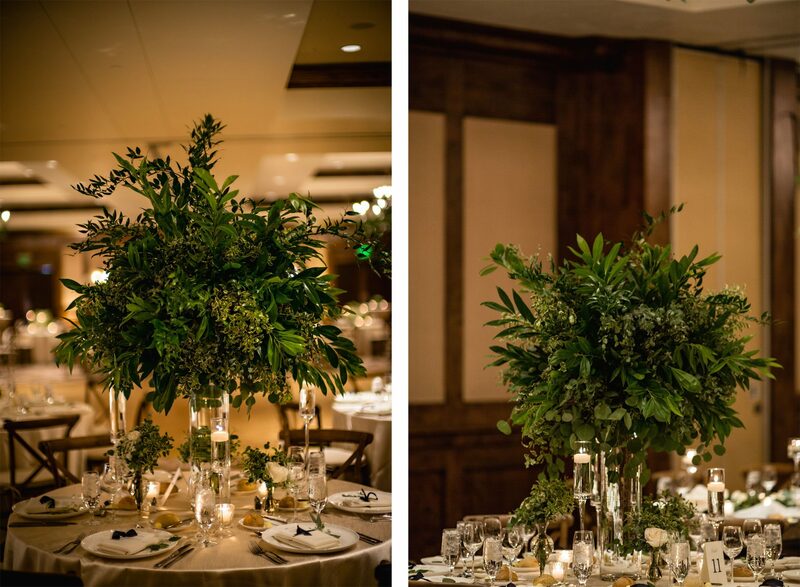 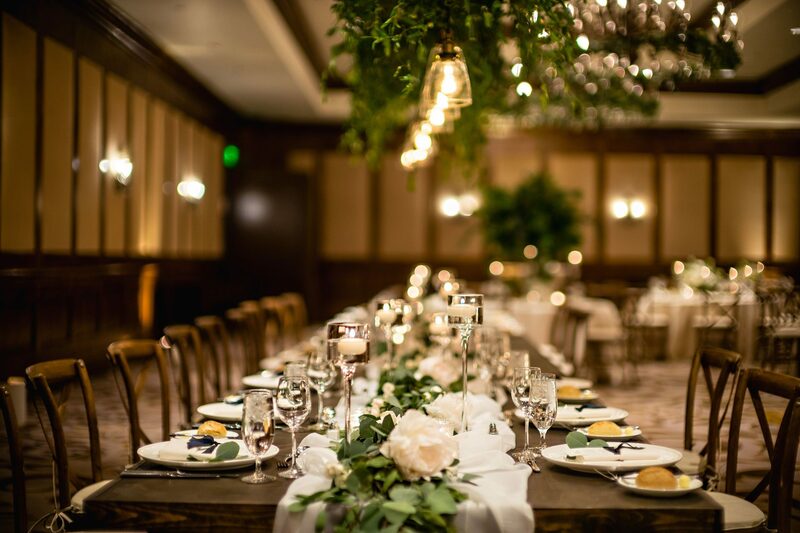 Th reception flowers included a stunning installation of greenery and orbs over the tables while garlands adorned the elegant ballroom chandeliers. 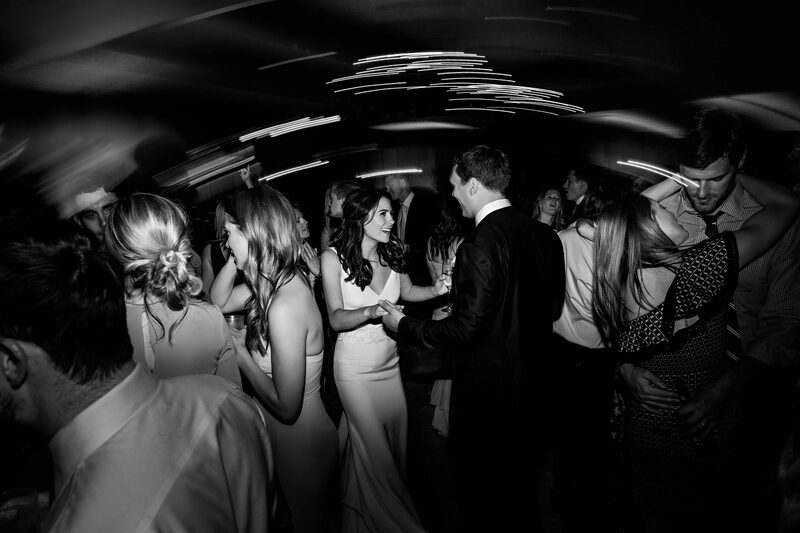 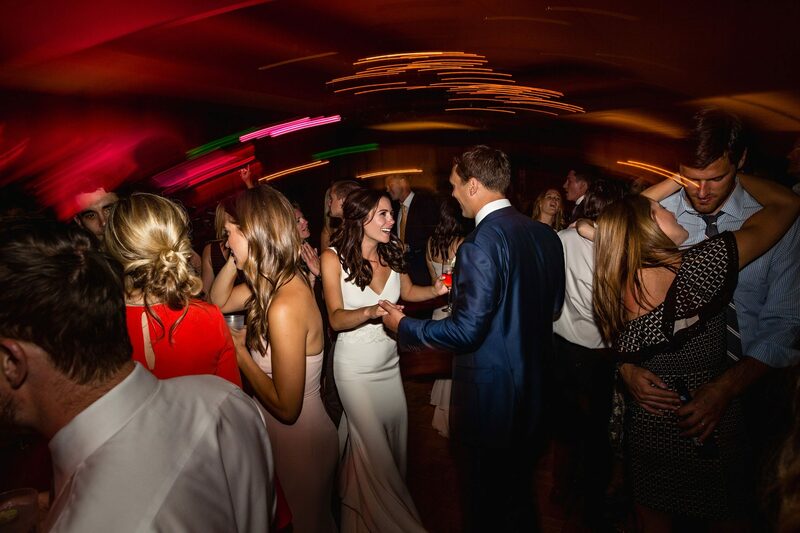 Guests flew in from all over the country and had a blast dancing the night away!